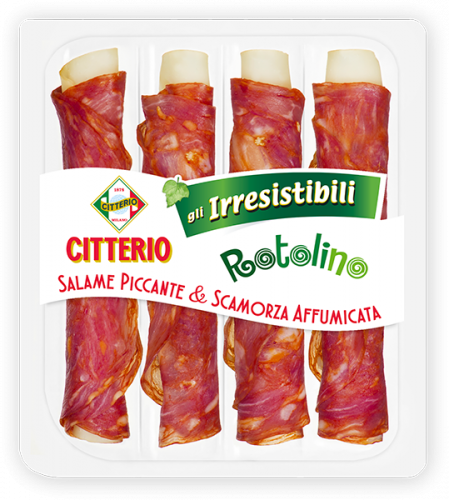 A selection of sliced meat and cheese rolled up for a unique mixed taste. 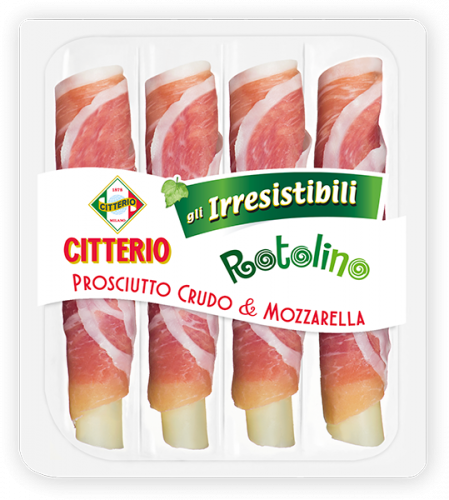 All the authentic taste of the best meats from Italian delicatessens, rolled around irresistible slices of cheese. 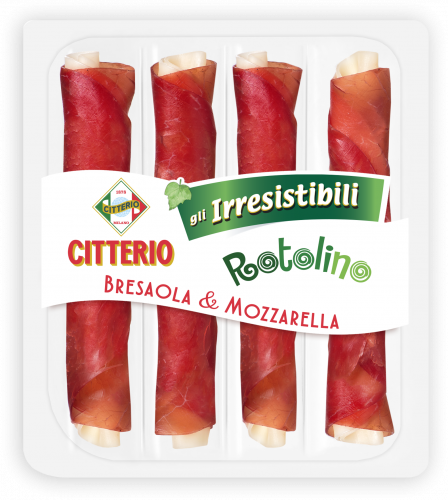 Citterio's Irresistibili Rotolino range ensures a mix of unique flavours: Milano Salami and Provola Dolce, Spicy Salami and Smoked Scamorza, Prosciutto Crudo and Mozzarella, Bresaola and Mozzarella ... which do you prefer? 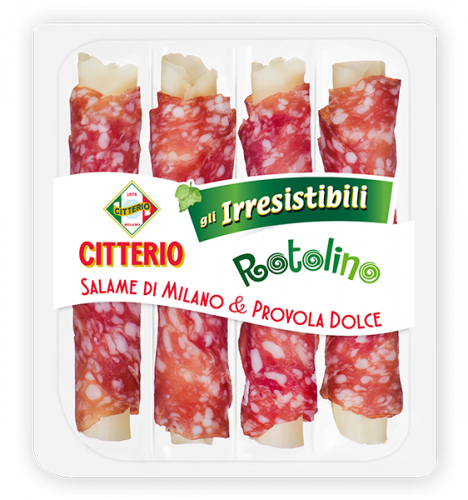 The Citterio name is known around the world as a synonym for professionalism, passion, innovation and quality. Subscribe and be the first to get the news about our products, initiatives and original recipes.